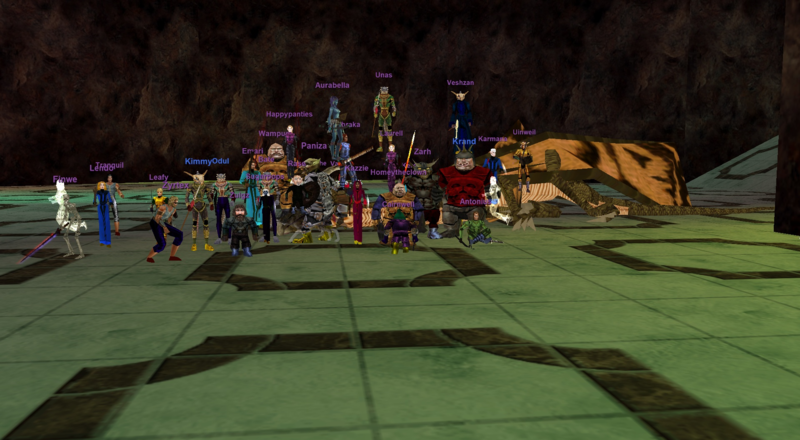 <Reckless> is a European time-zone based raiding guild on the Coirnav Time-Locked Progression EverQuest Server. While we raid in EU hours, we obviously welcome people from anywhere in the world who share our goals and are able to raid on this schedule. Speaking of goals, now would be a good time to talk about them. Our aim on this server is to efficiently progress through content. General statement – what does that mean? This means that when we log in to raid we show up with the attitude that we’re going to help the guild succeed. This doesn’t mean we’re going to be the best power-gamers out there and never wipe. It means that when we do wipe we analyse what happened and fix it. We always do our homework to understand and know what the raids will throw at us, after all this game is a million years old so there’s nothing amazingly new besides a few tweaks that TLP brought our way. We don’t need to beat other guilds to server firsts, but we want to beat our performance in the previous week. Ok ok...Velious is now truly complete! ST 2.0 Ancients are dead. Bring on cats on the moon! 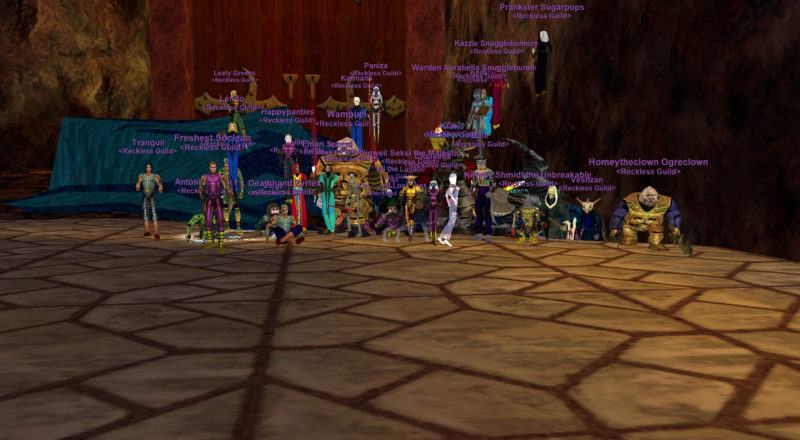 Sleeper's Tomb 1.0 Warders down! Two SoDs, a Gnome Mask, and a Monk Robe later Reckless can call ST 1.0 and Velious complete! We've had quite the week! Reckless one-shot every dragon in TOV and the AOW! Very fun and smooth kills. Congrats on the loot guys! 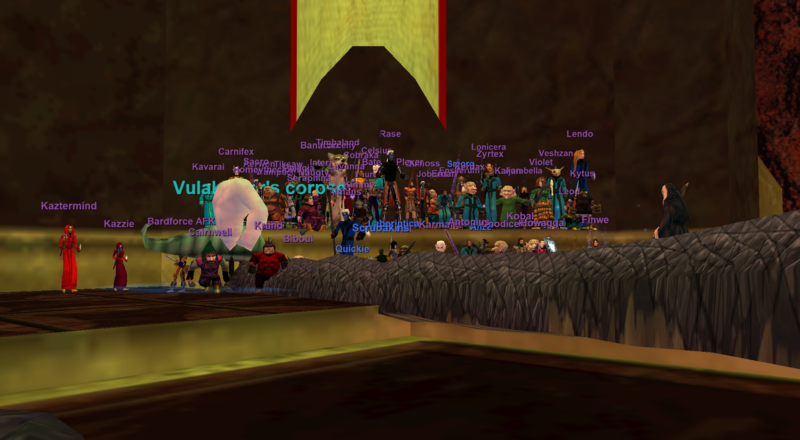 If you are looking for a guild and can raid on European prime time hours, please visit our forums or get in touch with Jobned, Quinoss/Sugarpops, or Veshzan. 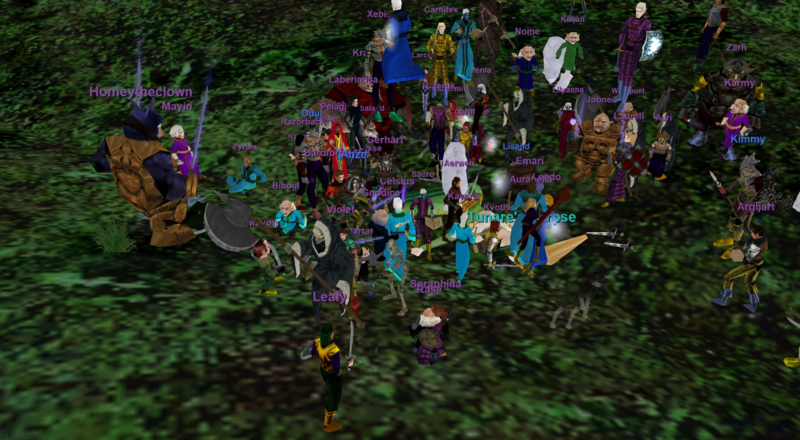 We have been extremely busy since Velious launch late Wednesday night in Euroland. Visit our forums or contact Jobned, Veshzan, or Quinoss in game to talk about joining the team! Aaaaand the rest of VP cleared. WRU Velious? Nexona gave us real bad loots. Xygoz is a chump - even with 1 warrior. And no screenshot of Silverwing when we killed PD the first time because Emari is a dummy and didn't take one.